The Yardbird menu is mainly made up of chicken, and with an emphasis on beak to tail dining, very few parts are left behind. Every morning, fresh chickens from Yuen Long are delivered to the restaurant for our chefs to butcher and prepare before service begins. Each chicken skewer is available in limited quantities until they sell out and everything from thyroid to inner thigh to wing tip is grilled over traditional binchotan charcoal. Neck Skin – The neck skin has a strong flavor because the chicken’s neck is constantly moving, which may explain the neck skin’s springy texture. 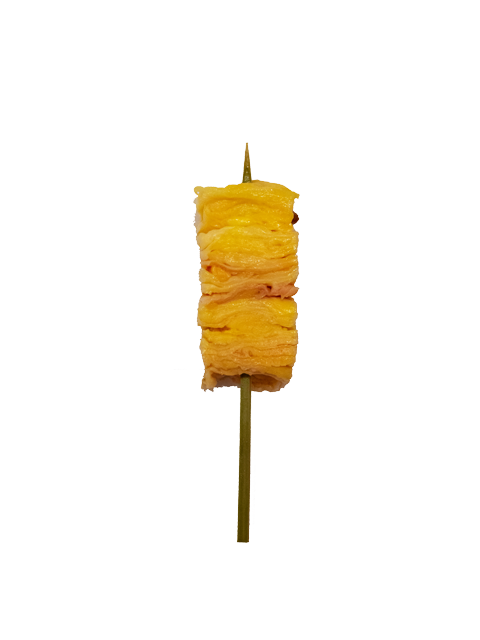 High in fat, this skewer is a textural experience with crunch and chew. At Yardbird, we separate the neck skin from the neck meat and cut it into squares. These squares are stacked, pressed, and frozen before being cut into 2 cm x 2 cm squares and skewered down the middle. 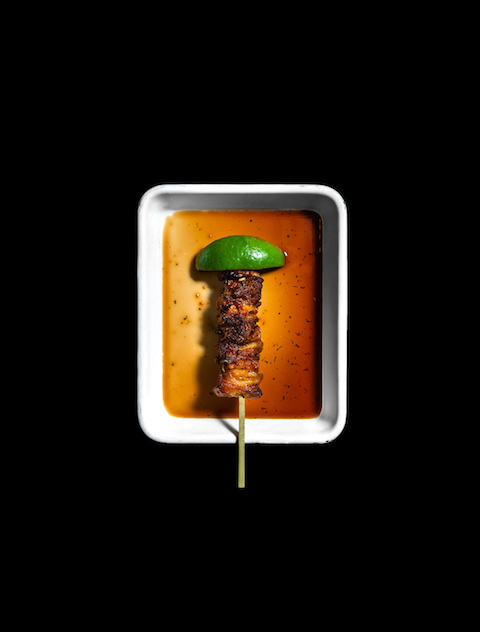 It is seasoned with sake, salt, and pepper, and after grilling, it’s topped with Flagrant Harbour ponzu with a lime slice at the end of the skewer.